Cards Career Connection powered by Handshake is the Career Development Center's all-encompassing interactive web platform that connects students and alumni with employers. All student employment positions (part-time/summer jobs) are posted in Cards Career Connection powered by Handshake, as well as all Federal Work Study positions. Thus, all students at the University have access to Cards Career Connection powered by Handshake. PLEASE NOTE: The College of Business, Speed School of Engineering, and Brandeis School of Law have separate career centers and recruiting platforms serving their students. Due to the presence of fraudulent positions, phishing scams, and questionable employment opportunities; the Career Development Center staff reviews every employer and position before posting to students. Although we cannot guarantee the integrity of every position, we take every effort to protect students, and the reputation of our employers, from fraudulent activity. Specific contact individual named, including email address. Email addresses that do not match the website domain and that cannot be verified as belonging to the organization will not be approved. Gmail or similar email addresses are not accepted. Postings must include a clear and concise description of the available position. Professional Entry-Level - career-related positions requiring a minimum of a bachelors degree. Student Employment (part-time jobs/full-time in summer) - for currently enrolled students to help offset educational and living expenses. The objective is to connect students with employers who offer jobs that are flexible and can accommodate students’ class schedules. These positions are limited to the Greater Louisville/Kentuckiana region (i.e. 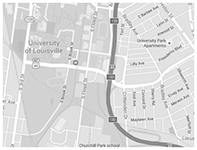 in reasonable proximity to campus so students can work and attend class). We will post full-time summer jobs. In-home services at private residences such as tutoring, cleaning, personal care, or yard work. Multi-level marketing/sales; business opportunities; positions requiring an investment or charging a fee; or soliciting business from UofL students. Internships conducted virtually or that appear to be self-directed. Third party recruiters and staffing agencies who do not list the name of their client in the job posting.